The front game room at Looking for Group. Photo by Emma Diehl. When players log on to a multiplayer online game, they may post LFG or “looking for group” to find an open team to join. 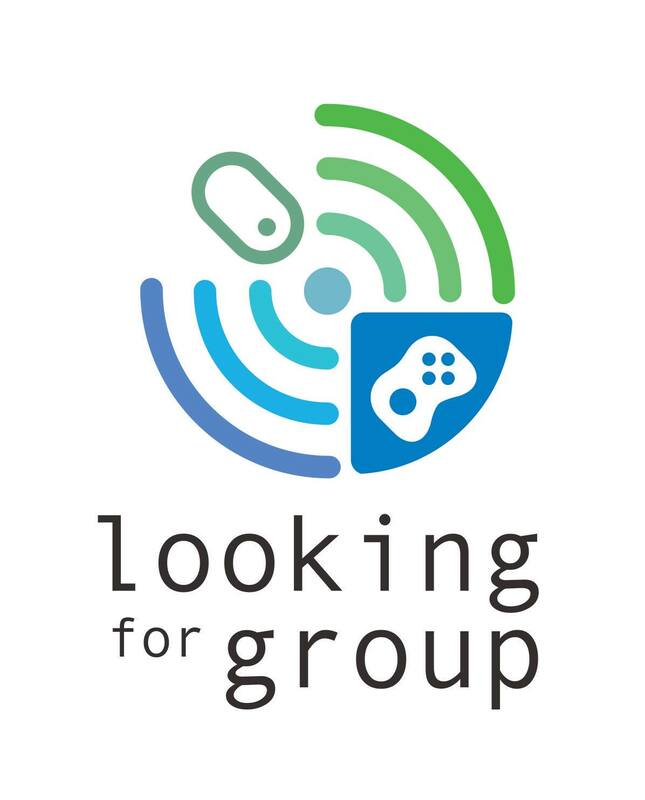 In Pittsburgh, gamers need only to visit Looking for Group (LFG) in Brookline to find a welcoming gaming community. Looking for Group is divided into two distinct areas: a hybrid gaming space and coworking space with different hours for each. When visitors enter LFG on Brookline Boulevard, they’re greeted by the bustling activity of the game space. Couch clusters host larger multiplayer games like “Rock Band” or “Super Smash Brothers” and lounge chairs dispersed around the space are reserved for single-player games. 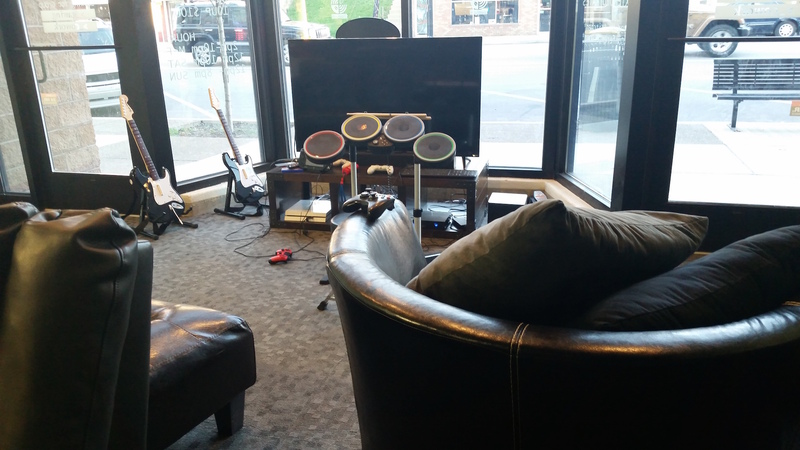 What makes the space different from playing alone at home is the social aspect–gamers welcome each other as they enter the space, and the owners are on a first-name basis with the neighborhood regulars who rush over to the store after work or school. LFG welcomes game coders and developers, but also encourages visitors and coworkers who enjoy games of all kinds, as co-founder Edd Batson explains. “I just love to play games; that’s why we started this space.” LFG’s founders come from a variety of backgrounds, from mechanical engineering to IT and construction, and game night has always been their uniting interest. The group set up for “Rock Band.” Photo by Emma Diehl. The game space is filled with ergonomic gaming chairs, consoles and screens as far as the eye can see. 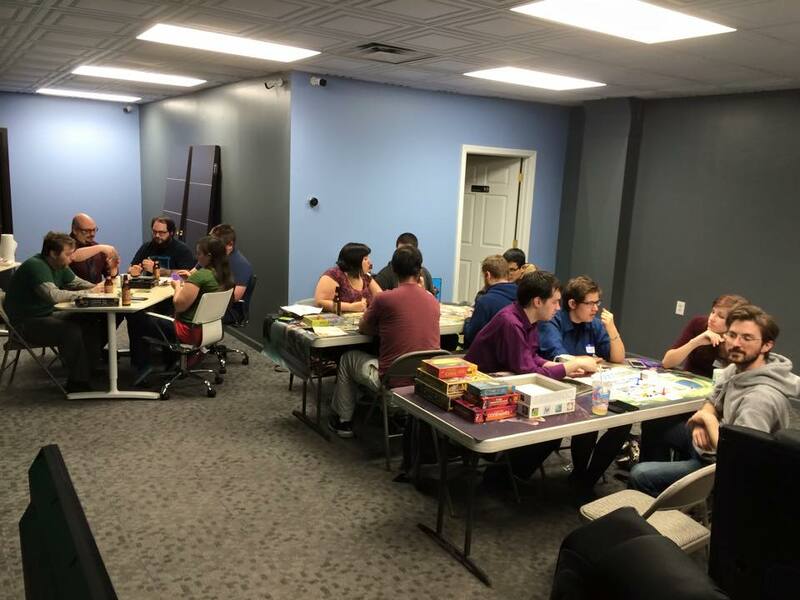 The back tables are stacked high with board games and LFG regularly hosts board game nights. Visitors pay $4 per hour, $10 for 3 hours and $20 for an all-day pass to play any of the consoles or games in the store. LFG has PC, Xbox One, PS4 and Wii U consoles, and is building its inventory daily. “If we don’t have something, let us know, and we’ll do our best to get it,” says co-founder Justin Rothermel. Game board night at Looking for Group. Courtesy Looking for Group. The size of LFG affords gaming opportunities not often available at home, including the variety of games and systems. In the future, LFG hopes to install larger systems, like the virtual reality system Oculus Rift with an omni-directional treadmill so players can move in real life like they would in the game. Visitors using Oculus Rift to play a virtual reality game. Courtesy Looking for Group. The founders of LFG have worked hard to make the space friendly to all, both online and offline. “We want this to be available to everyone. We don’t want people to come in and think ‘I’m not good enough to play here,'” says Lange. The Code of Conduct and Community rules are posted in the front of LFG, and gamers are encouraged to treat each other with respect, in the game and the store. When playing a game online, players just see character names and avatars, says Batson, but LFG brings that community into real life, building more respectful interactions that dispense with the trash talk often found online. On school days, the space is filled with kids from the neighborhood once school is out, says Batson. As the evening progresses, and dinnertime rolls around, the area hosts an older crowd. A soundproofed wall and a set of thick doors keep the blips and bleeps of the gaming space in the front from disturbing the coworking space in the back. Coworkers have 24/7 access to the space, but gaming hours are limited to evenings and weekends. 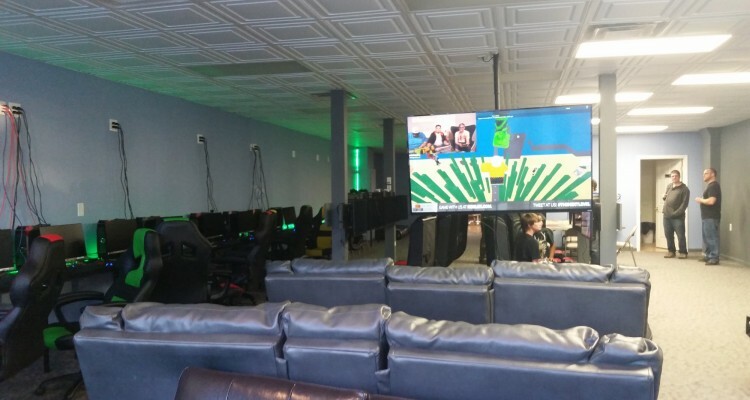 LFG’s coworking space has the standard amenities, like a private conference room and reserved desks, but what makes the first-of-its-kind in Pittsburgh is the wiring that was required to set up the game space. “We ran a lot of cables. A lot of the work was making these computers interconnected,” says Rothermel. “There are certain things you can do here that you can’t do other places.” The consoles and computers in the game space are wired together in a network, and the internet speed is faster than the typical WiFi network. LFG’s linked network is especially a benefit to game coders and developers–they can develop games in the coworking space and test them on the network instantaneously. 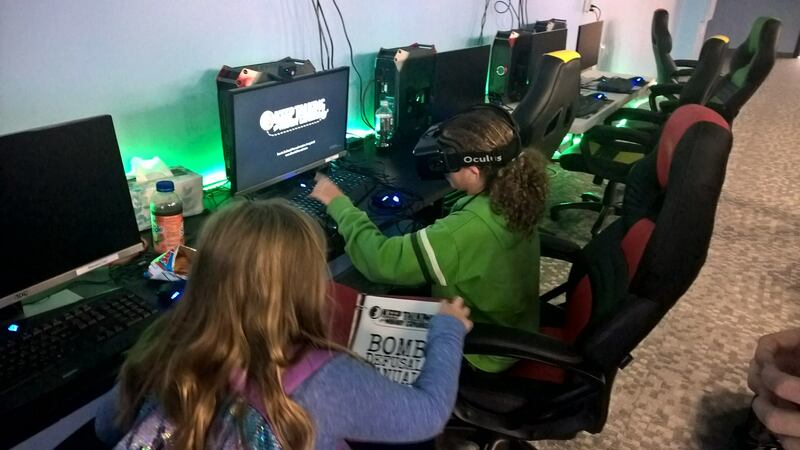 With a steady stream of players in the store, it makes for a perfect space to demo new games. However, the network speed will benefit anyone, and LFG’s coworking space is open to all professions. Having access to games out front is also great to just blow off some steam after a day’s work, jokes co-founder John Lange. Coworkers can rent a desk by the day, week or month. But LFG’s founders want it to be more than just a game and workspace space for the local community. Coming off of the success of a recent Kickstarter campaign, LFG will be offering “Build your own Console” classes, and has secured 10 class scholarships for kids in the Brookline community. And, the founders hope that it’s not just the variety of games the space holds, but also the community that brings people back. “It’s a lot more fun to be playing next to each other and be able to talk to each other. I think a lot of people enjoy that aspect of it,” says Lange. In the future, LFG plans to host tournaments for the community, as well as technical Meetup groups like Code & Supply. Visit Looking For Group at 924 Brookline Blvd., or on Facebook for event information. 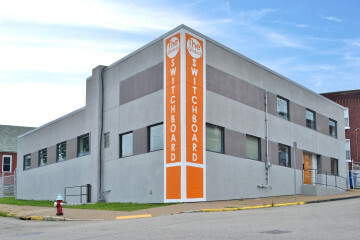 The Global Switchboard is connecting Pittsburgh to the world.